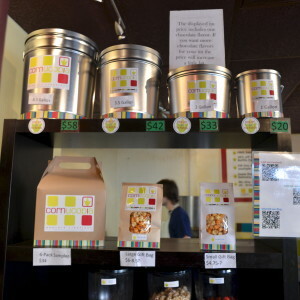 If you’re like me, and think that popcorn should be its own food group, Cornucopia Popcorn Creations is the place for you. 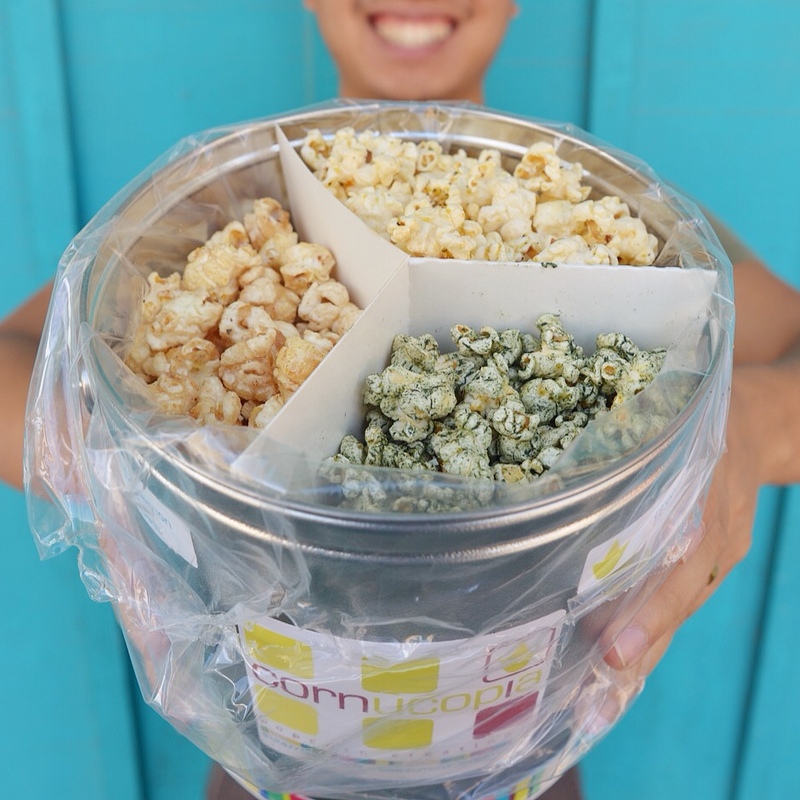 With a large rotating selection of popcorn flavors, many of which are vegan, Cornucopia will satisfy all of your popcorn cravings, be they salty, sweet, or savory. You can buy your choice of popcorn flavor by the bagful, with sizes ranging from the tiny “Kids” bag holding a couple fistfuls of corn, to the ginormous 5-gallon “Party” bag, but our favorite way to take home the crunchy goodness is in a tin. Feeling nostalgic for the classic holiday popcorn tins of your childhood, filled with multiple flavors separated by a high-tech cardboard partition? Cornucopia will let you mix and match up to 4 flavors in a tin to recreate that experience. When you’re done, come back and refill your empty tin as often as you like, and get a 50% discount on every refill, forever. If you’re having trouble deciding what flavors you want to fill your tin with, take your time, and enjoy some free samples to help you make up your mind. 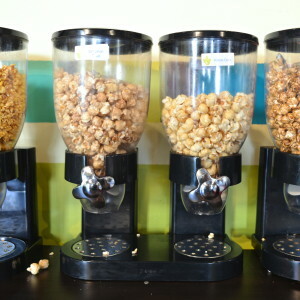 With familiar flavors like Kettle Corn and Garlic & Herb, and unique creations like Veggie Green Corn, Cinnamon Toast, and Madras Curry, it might take you a while before you get a chance to taste them all and decide which is your favorite. 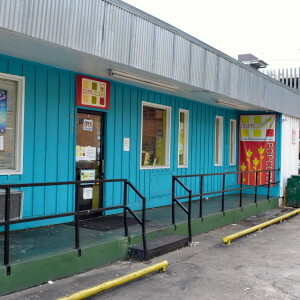 You can find Cornucopia at their new location on Red River and East 32nd. Show your Go Local card to get a free Kids bag with any purchase — the perfect way to sneak in one extra flavor, or a little bit extra of your favorite. Availability of all flavors is subject to supply, so if you want to make sure that a particular flavor is in stock, call ahead, and they can make a fresh batch if they’re out. Be careful, though: the crunchy goodness of Cornucopia popcorn is highly addictive, and before you know it, you may find yourself making excuses to get your tin refilled… not that there’s a problem with that. Disclaimer: This Top 20 series, presented in no particular order, is formed from the personal opinions of Marie and Daniel, and does not necessarily reflect the views of all Red Hot Vegans bloggers. If you’re not a fan of oily, sugary, calorie-dense food, then this series is probably not for you. For everyone else, enjoy!